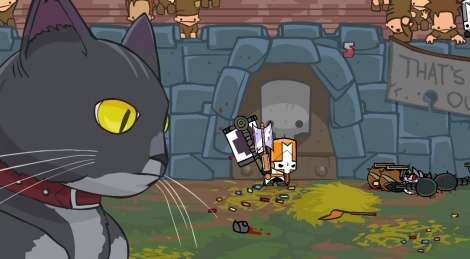 Our good friend CpRBe is back with some footage of Castle Crashers Remastered, which came out on Xbox One on September 9 and was free to all those who already owned the original game - until September 20. As usual, we were provided with the code by the Xbox Network. "came out on Xbox One on September 9 and was free to all those who already owned the original game - until September 20." Ahh... THAT explains why I was able to just magically get it for free. Now, I just have to fire it up! Too bad I don't have 4 controllers on my XB1.